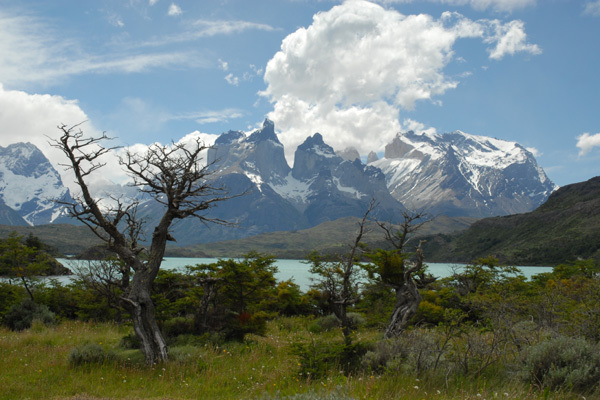 While travelling in Chilean Patagonia in November 2008, we visited Torres del Paine with its magnificent towering snow-covered peaks. In an otherwise desolate landscape, we came across a remarkable splash of colour, tucked under some wind-ravaged bushes. 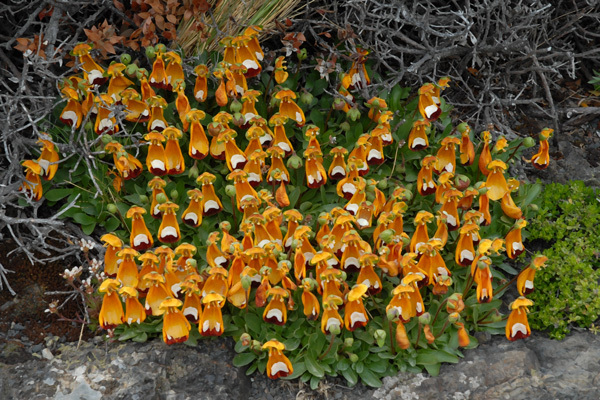 This Calceolaria is one of several species found in Patagonia , though the genus is found along the length of the Andes . 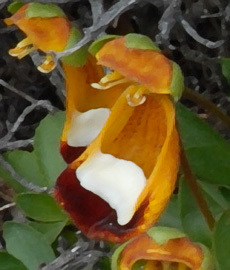 This species is in cultivation as C. darwinii (or C. uniflora var. darwinii) and, as noted in the RHS A-Z, “does best in an alpine house”!